Loose powders are something I haven't experimented much with. 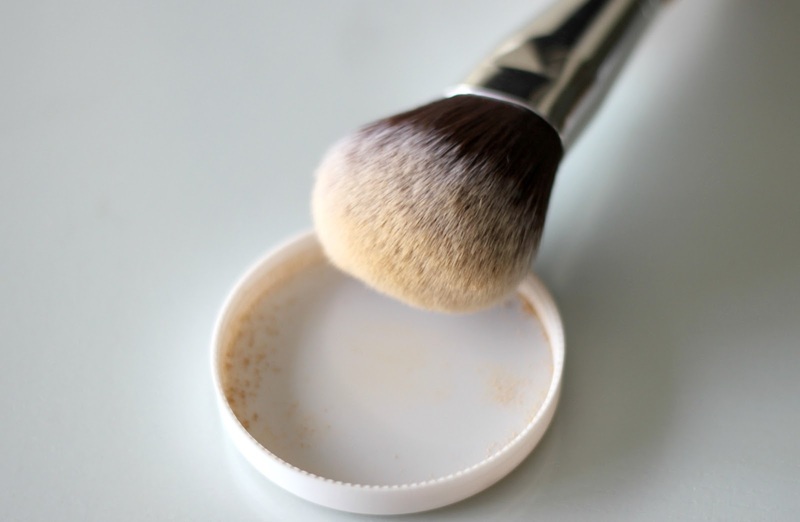 In my early blogging days I actually reviewed a great drugstore face powder but not too long after stuck to my go to pressed powder after really digging the finish and coverage. 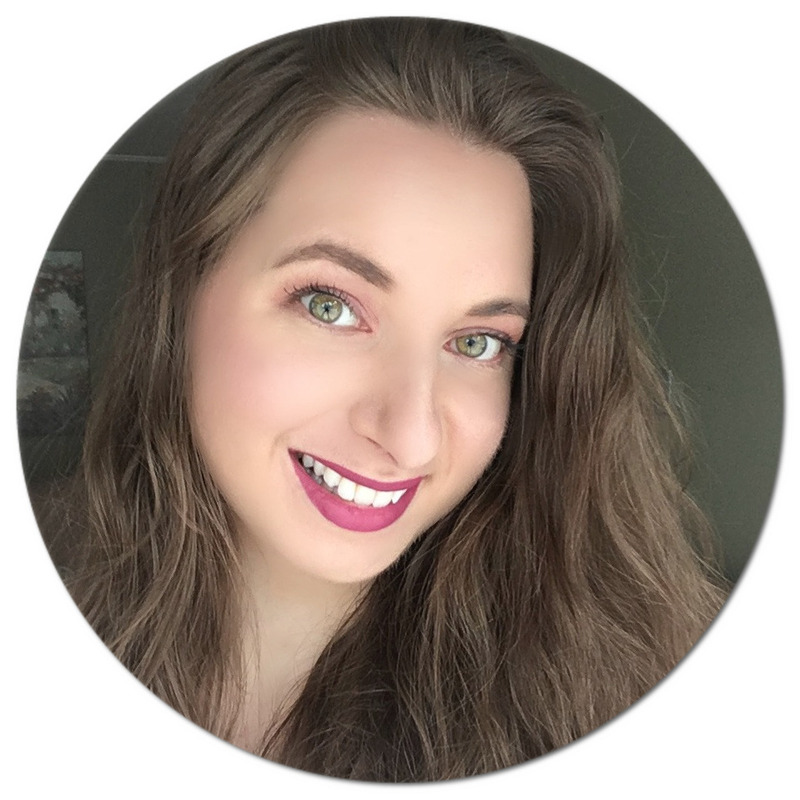 Earlier this year I shared a natural beauty haul with a bunch of vegan products I picked up from iHerb and thought I would share my thoughts on the Everyday Minerals Mineral Powder in the Semi Matte Base in shade Golden Beige 3W which I purchased with their Plush Mineral Brush. After swatching the powder back when I first got it I realized it was way too yellow for my skin since I was at my palest having just come out of winter. After catching some rays over the last few months though it has been a perfect match for my deeper skin! What I really like about Everyday Minerals is that all their products are 100% natural and vegan. They carry their mineral powders in a jojoba, semi matte or a matte finish for either warm, neutral or cool undertones and their shade selection is quite impressive too. Not only that, but they are nice on the wallet as well. The mineral powders do not contain any harsh ingredients such as talc, perfume and preservatives and instead are simply made with mica. I picked up the Mineral Powder in shade Golden Beige 3W in the Semi Matte finish and I really like how it gives a healthy glow to my skin. 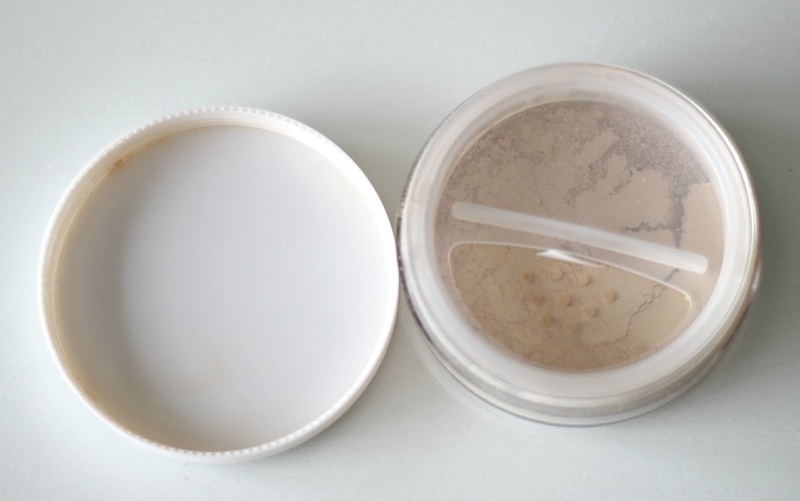 The loose powder comes in a jar with a sifter that twists open which means less chances of making a mess. 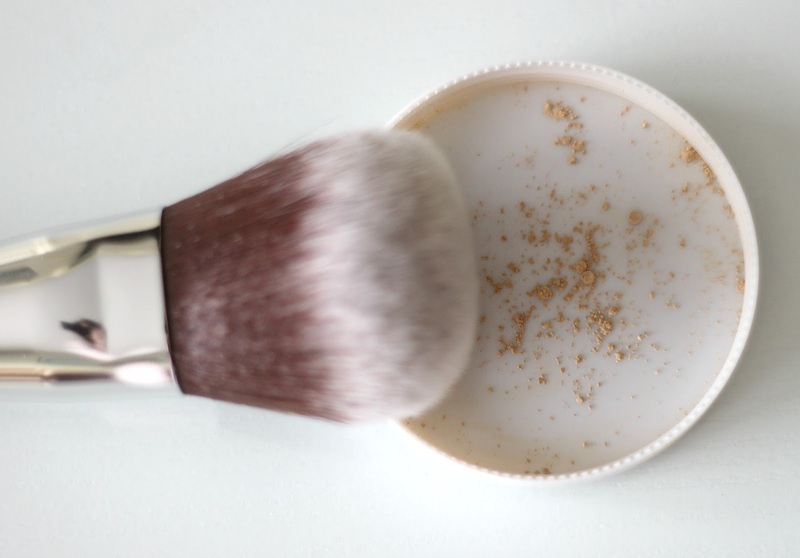 I just tap some powder onto the lid and swirl my Everyday Minerals Plush Mineral Brush into it, aka the softest face brush I have ever tried. The dense brush is made out of synthetic hair and the handle out of bamboo which is one of the most sustainable materials to use for brush handles. It has a round shape yet is a bit flattened, making it a great brush to use for multiple purposes such as face powder, blush and bronzer. The coverage is said to be full coverage, but in my case it is more medium coverage. It works great at masking the redness on my face yet does not completely cover my acne scars. Even so, I still like how weightless it feels on the skin and how silky it is to the touch. The only issue I have with the powder is the packaging. It's a bit of a hassle for the right amount of powder to come out when intently tapping on the container multiple times with my hand. I think that might be due to the powder being so finely milled that it clusters and not much can go through the opening. I have found with time that knocking my brush swiftly on the back of the container a few times when upside down works like a charm to get more product out. Just a tip in case you experience a similar issue! I think this is a great everyday powder (Everyday Minerals..get it?) if you are looking for a natural product that will give you a natural finish. The brush picks up just the right amount of product and applies it beautifully. It does not make me oily throughout the day despite having combination skin and does not transfers. Overall, I am really impressed and would recommend trying it. 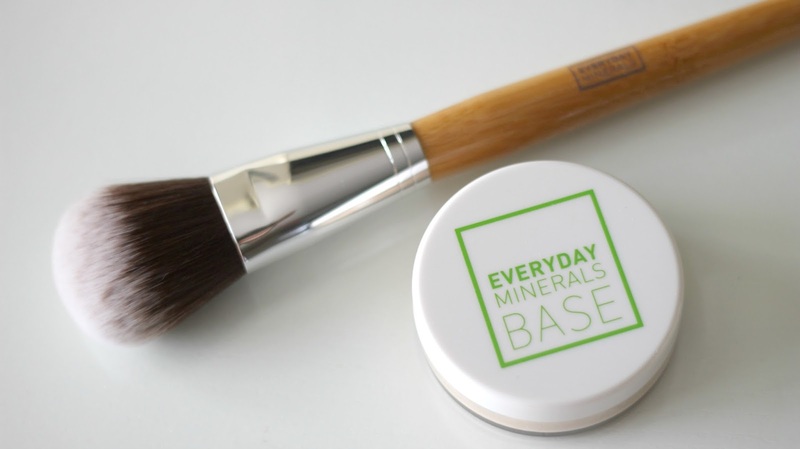 You can get a discount when purchasing Everyday Minerals on iHerb with discount code FFM227 at checkout. I love this website so much because they have such a vast selection of natural and vegan products and they offer very affordable international shipping. 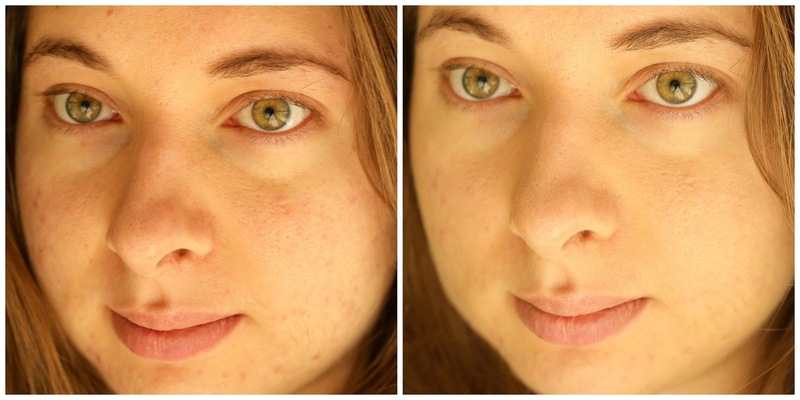 What do you think of loose powders? Any favourites you want to share? Looks like you got a really pretty, natural finish from this powder. 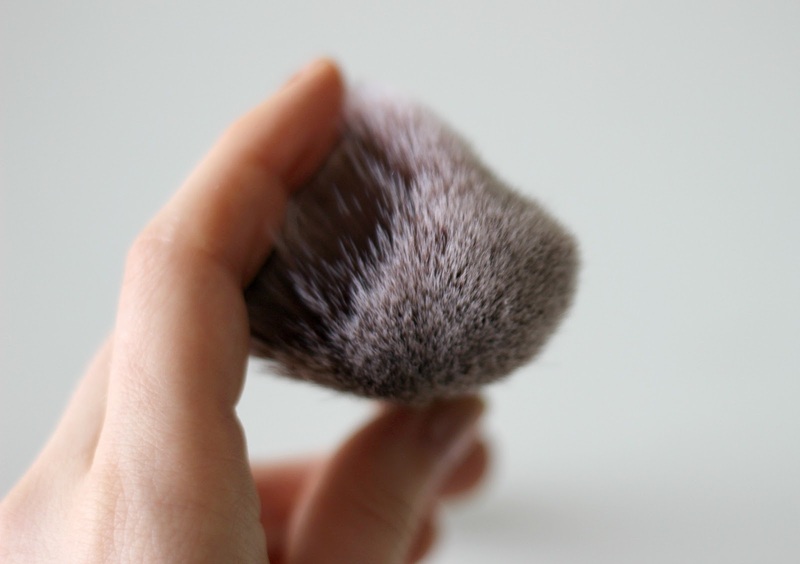 And the brush looks insanely soft! Tarte Countdown To Christmas Holiday Giveaway!